We’re constantly trying to improve our product and services here at Gamewheel. Today, we’re pleased to announce five new and exciting features in the area of content editing and campaign setup which lots of users have requested in our last questionnaire. 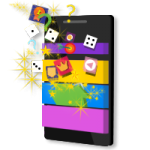 These features will make using Gamewheel an even smoother and more customizable experience. 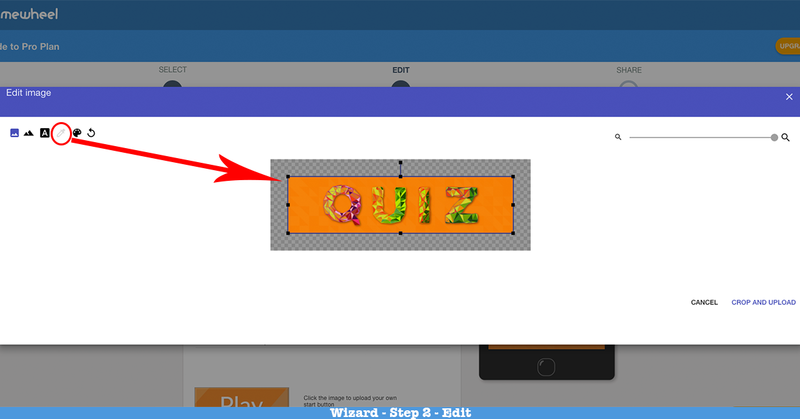 Some of the new features include an Image Editor that would allow you to use your own custom action buttons– creating a more brand-focused gamified ad. The Image Editor has new features like “turn key color on and off”. It also allows you to create a completely new graphical assets with multiple layers, custom text and other comfortable features. Just experiment with the buttons in the menu of the editor to understand it’s new power. 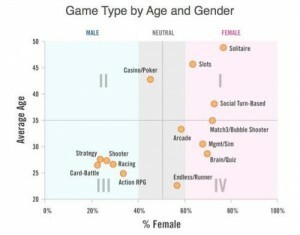 Collecting user data at the end of a game is a more interactive way of generating new leads. 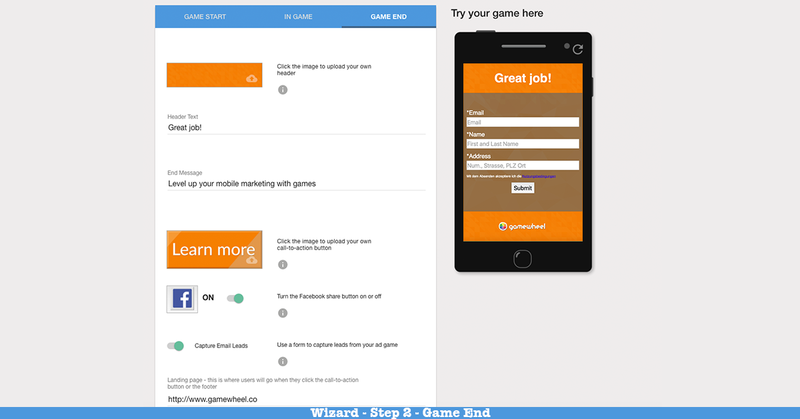 We’ve seen some remarkable lead generation results when coupled with our gamified ad platform. To make data collection a seamless element of the gaming experience, we’ve added a “Lead Form” option. 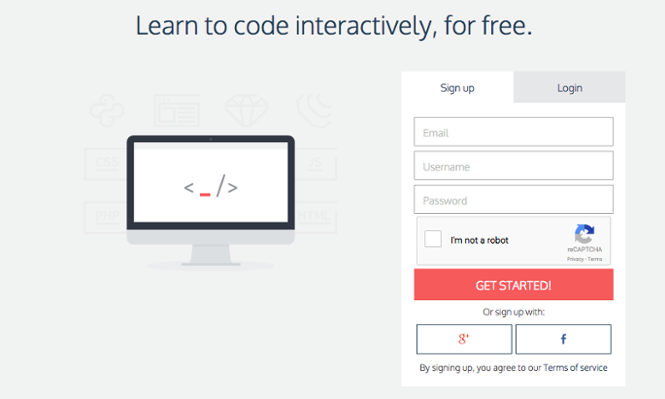 This will allow you to add a sign up form at the end of a game. 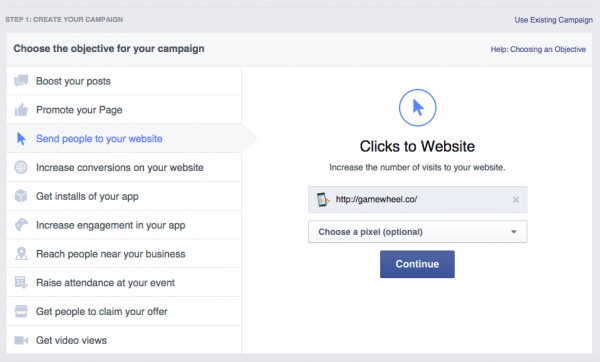 This simple option can increase lead generation by up to 200%. You can now increase the engagement and virality of your campaign with the switch of a button. 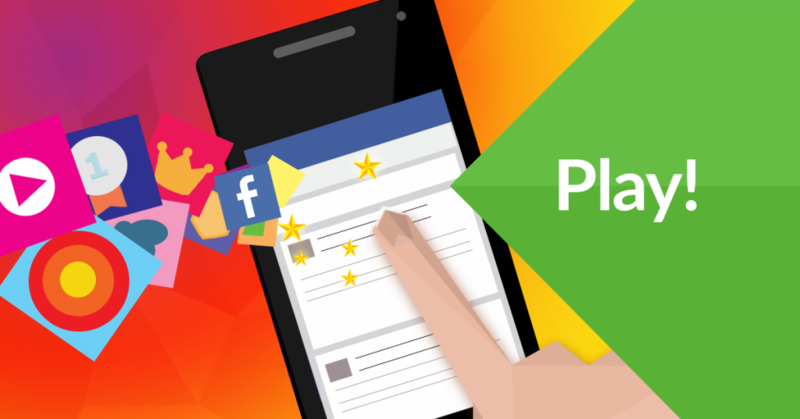 Our Play, Facebook Share and Reply buttons can be easily switched on or off to better suit your campaign design and needs. Now, also all buttons assets can be simply changed through the new image editor from within the Gamewheel wizard, meaning that you now have a full flexibility to change all assets of the game tempalte in a few clicks. We’ve now included the Facebook Tracking ID option, which allows you to capture the analytics and general performance of your game from Facebook. 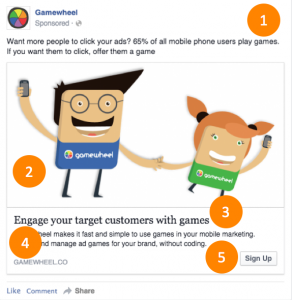 This option provides an overview of your Gamewheel campaign results within the Facebook ad dashboard, which means that you can follow all of your ads developments in one place. Finally, with URL Masking, you can customize the URL of your game, to once again reflect your brand or any intended product affiliations. 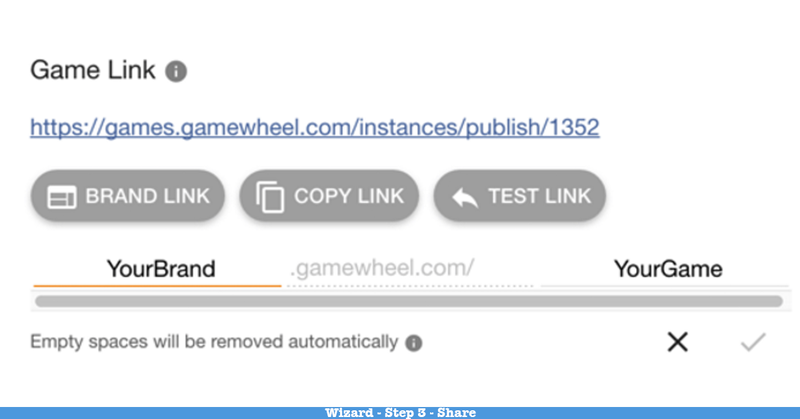 This feature is geared at capturing audiences that might be deterred from clicking on third-party links (even if those links are generated by the undeniably awesome Gamewheel) and for you to prominently display your brand via URL. 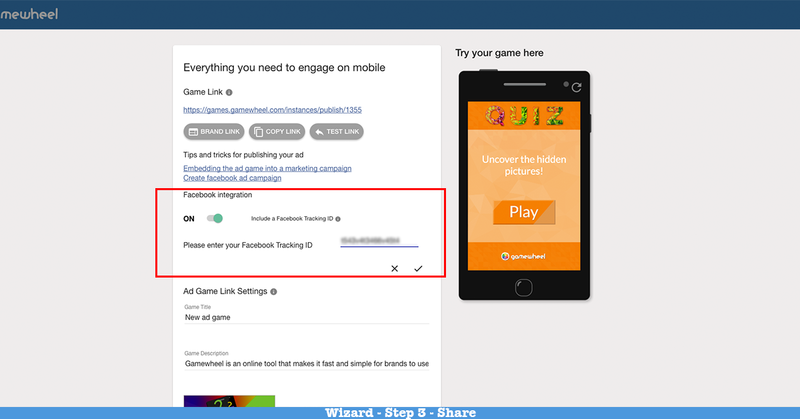 We’ve also created some informative and in-depth tutorials on embedding games and creating Facebook campaigns to help assist you on your path to increasing ad performance via gamification. Gamehweel just keeps getting better and even easier to use. 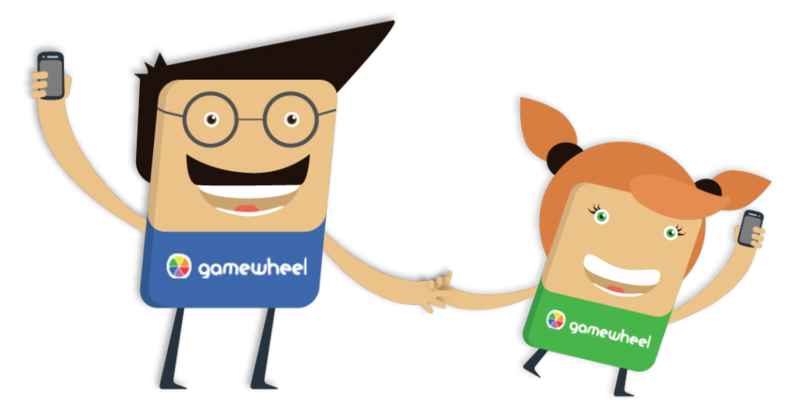 Please leave any feedback or suggestions you have about Gamewheel features from here. We love hearing about ways we can improve our product. We still have over 40 other improvements for more comfortable game creation up our sleeves and we’re working on many new amazing game templates for you! So Stay tuned! Never miss out again on any of our latest news follow us on Facebook, Twitter and LinkedIN. 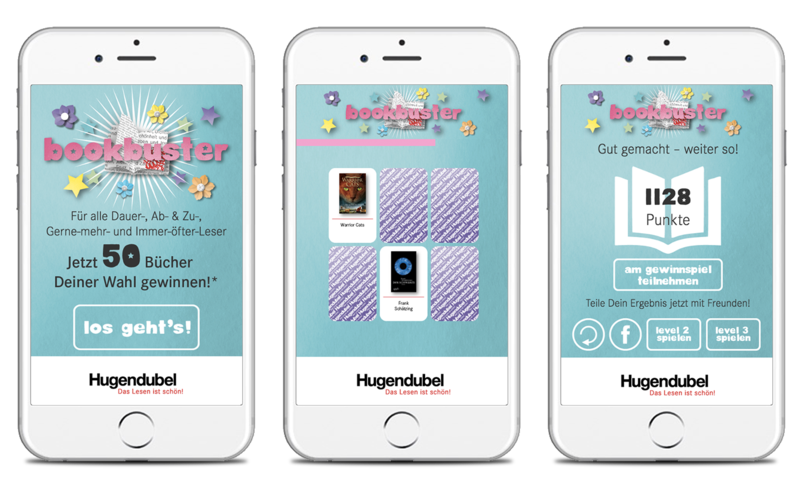 Ad games are the most effective way to engage your target customers on mobile, but creating an ad game alone isn’t enough – you also need to think about who your target customers are, where they spend their timeand how to reach them. So when you’re designing an ad game campaign, it’s important to keep in mind the broader trends shaping the mobile advertising market. We recently spent some time at DMEXCO, the largest digital marketing conference in Europe, and saw a great presentation by Stephen Bardega, Chief Digital Officer at ZenithOptimedia, titled “The Mobile Imperative: Five Emerging Mobile Trends for Marketers”. We’ve summarized the five trends below and explained the implications for your brand’s mobile marketing strategy. In 2015, people spent an average of 2 hours per day on mobile, or 33% of their total internet time. This number has been growing rapidly over the past few years, up from 20% in 2012. Not surprisingly, mobile usage is even higher among young people aged 16-24 (nearly 4 hours per day). When you look at these trends, it’s clear that we’re evolving toward a world where consumers spend the majority of their internet time on mobile. Young people will be the first age group to reach this tipping point, with mobile usage crossing the 50% threshold in most major markets by 2018. In the past, advertisers tended to treat mobile as an afterthought. In today’s environment, this no longer makes sense. If you want to target your customers where they spend their time, mobile needs to be a core part of your marketing strategy. “Mobile first users”, as defined by ZenithOptimedia, are people who spend over 90% of their total internet time on mobile. This group represents a small but growing percentage of the overall internet population. They’re young, urban and tend to be comfortable with mobile commerce, with over 25% of them having already made a purchase on mobile. Mobile is critical for every advertiser, but it’s especially critical for brands that target young people. If you want to reach a youth audience, mobile is going to be your most important marketing platform. The shift from desktop to mobile has led to a change in peoples’ internet behavior, with some activities making the transition more smoothly than others. Two things that have faired particularly well are social media and video. According to a survey by ZenithOptimedia, Facebook reaching over 50% of total mobile users in most major markets around the world, with YouTube not far behind. When it comes to mobile advertising, not all channels are created equal. In order to reach your target customers, you should focus on the apps and services where they spend most of their time. That means not just social media networks like Facebook and video platforms like YouTube, but also messaging services like WhatsApp and Messenger. One bright spot for the future of search on mobile is the growing popularity of voice search. ZenithOptimedia found that 23% of survey respondents have used voice search services, including Apple’s Siri, Google Now and Microsoft’s Cortana. Of those people, 50% are using voice search more frequently now than they did a year ago. For brands crafting their marketing strategy for mobile, paid search will be less important relative to desktop. To the extent that you do use paid search on mobile, you need to tweak your strategy to reflect the differences in behavior between voice-based and typing-based search. According to ZenithOptimedia, 27% of people use ad blocking software on desktop. With the release of iOS9, which makes it possible to enable ad blocking on iOS devices for the first time, the issue has become much more relevant for the mobile world. In addition to preventing ads from being served to consumers, ad blocking software prevents advertisers and publishers from tracking users’ online behavior. 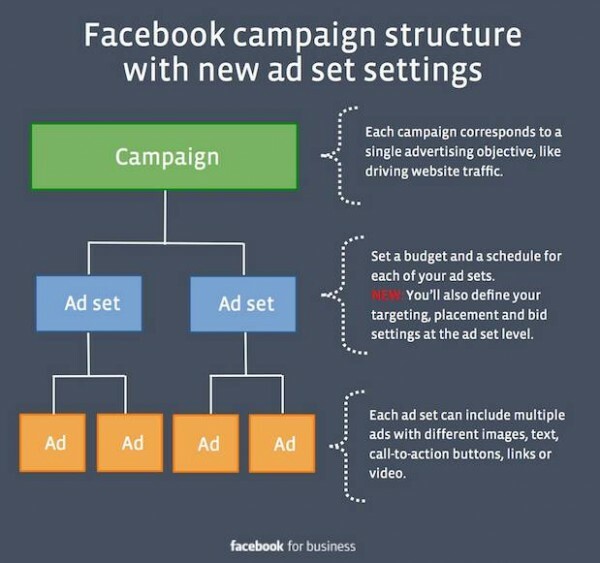 This makes it difficult to do targeting and remarketing, key techniques for improving the effectiveness of digital marketing. The impact of ad blocking on mobile advertising is a subject of intense debate. Some people have called it thedeath of the web, while others have suggested that the issue is a red herring. The best way to shield yourself from the impact of ad blockers on mobile is to use native, in-app advertising formats like Facebook newsfeed ads, rather than mobile web banners. For more info on the key emerging mobile trends for marketers, check out the full presentation here. 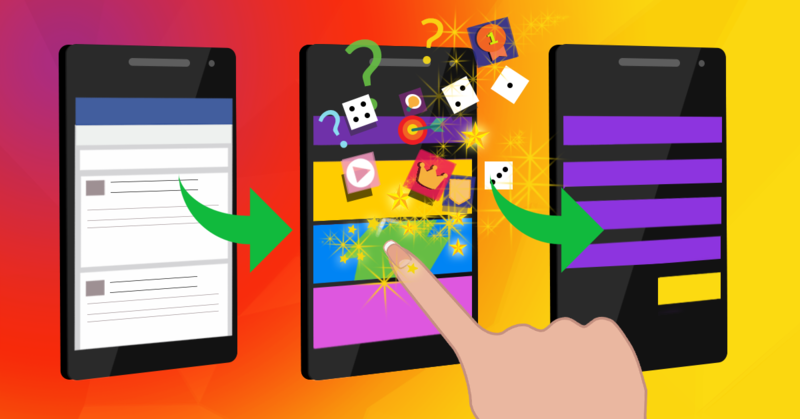 We’ve already written a few posts about why you should use ad games in your mobile strategy, which types of games you should use and where to use them. Today, we’re going to go into a bit more detail on the last question. 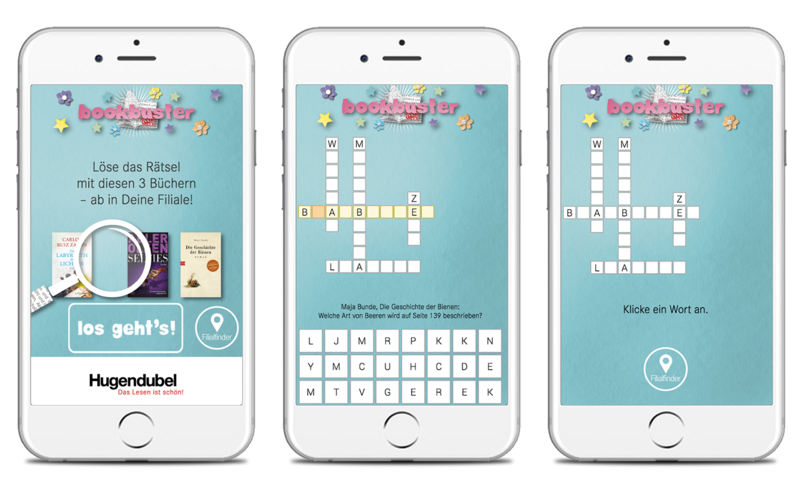 Because if you want to engage your target customers on mobile, it’s not enough to just build a game – you need to get the game in front of them. The simplest, cheapest way to put your ad game out into the world is by adding a link to your business’ website or newsletter. Of course, this will limit your game’s reach to people who’re already connected to you. If you want to extend beyond that, you’ll need to run a paid marketing campaign that links to your game. 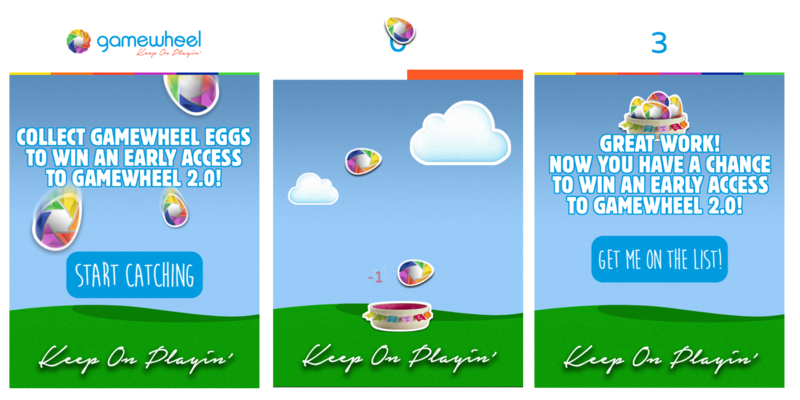 When a user sees your ad and clicks on it, they’ll be forwarded to the game. Once you decide to go down this route, the first step is deciding which channel to use. 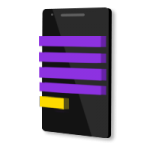 There are countless options, but they can generally be broken down into two categories – mobile web and in-app. Mobile web ads are effectively banners on web pages that consumers view inside a mobile web browser. 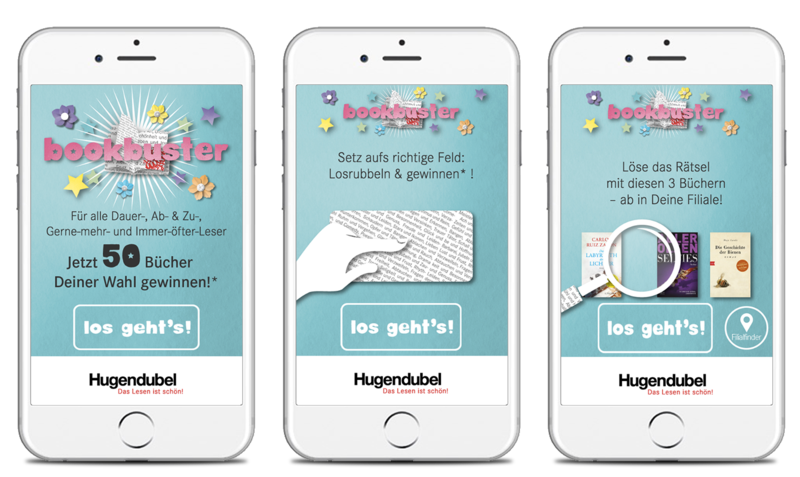 These types of ads are also often referred to as “mobile display”. There are a lot of concerns in the marketing industry about the future of mobile display ads, particularly given the rise of ad blocking and Apple’s decision to enable ad blocking in iOS9. This, coupled with the fact that they’re slightly more complex to implement, means we generally don’t recommend mobile display ads for inexperienced marketers who’re just starting out. If you’re interested in learning more, though, Google’s DoubleClick is one of the most popular options for running mobile display campaigns. 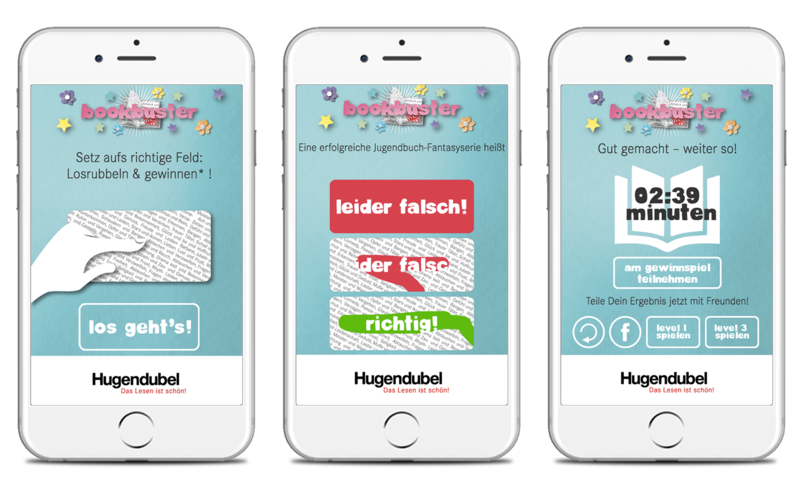 In-app ads are exactly what they sound like – ads that run inside apps. Because in-app ads are under less threat from ad blocking than mobile web ads, the marketing industry is more optimistic about their future. 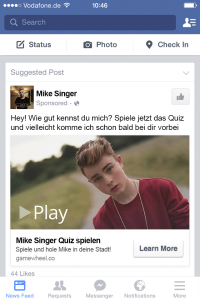 Facebook ads are a special type of in-app ad. At the moment, they’re one of the popular forms of mobile advertising, accounting for nearly 20% of total mobile ad spending. And unlike the market leader, Google, Facebook’s mobile advertising market share is expected to grow steadily over the next three years. 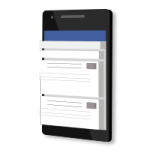 The fact that your target customers spend much of their time on mobile within the Facebook app, combined with the company’s robust targeting options and smooth ad experience, means that Facebook is the perfect channel to run your ad game campaign. However, it’s important to note that other channels, such as Twitter, Instagram or LinkedIn, are also viable options. In the end, it depends on your target audience and campaign goals. For example, if you’re selling a productivity tool designed for business customers, LinkedIn might make more sense than Facebook. 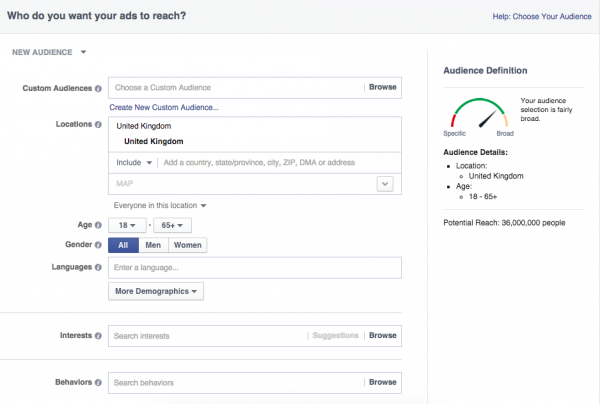 Next week, we’ll go into the details of how to design and launch your ad game campaign on Facebook.